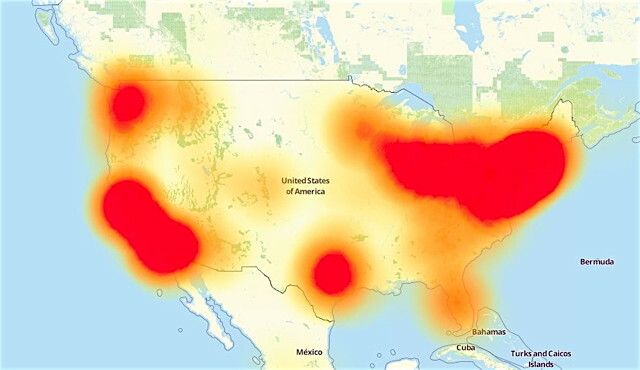 On Friday morning, Dyn — a company that hosts domain name systems — announced it has been the subject of a cyberattack that caused major problems for numerous websites. People reported issues with Twitter, Spotify, SoundCloud, Vox Media sites, Airbnb and numerous other sites. Meanwhile, people with real work to do--even on the Internet--proceeded as though nothing was wrong. Perhaps we should call Twitterers what they really are: twits. I didn't read the report. So, just how many millenials went into seizures due to lack of Twitter and Facebook? I guess that explains all the zombie-like bodies I saw laying or shuffling around, pale, eyes bulging, mouths agape, with gaze fixed upon smartphones that they gripped with both hands. The Blogosphere is about as close as I've ever came to being on any "social media". I've never had a MySpace/Bookface/etc. account, and never will. Now, if you were to open up an antisocial media site, I might be inclined to take a second look at the matter. Meanwhile, I'll be tending to my lawn for people to admire from a distance. Wow. Good thing we gave up control of the ICANN. It would've been Trump's fault. Bookface, heheh. I'm stealing that one. "Lawns" around here are known as fields of fire. 4 pm on 22 October. Xfinity/Comcast is down (again) here in southeast /coastal Georgia. It was interesting. I could not report on jobs that I do in the field, as it affected my company's website. I couldn't log into the WiFi at Bruegger's. After I got home, I was able to do what I needed to do. They had defeated the attack at that point. But they will be back. I am so old that I remember when one worked on a desktop computer, one had to expect to reboot every few hours. One never knew when, so that "save" function was very important. Now my phone goes for a month without needing a reboot, and my data is saved both on the phone and in the cloud as I create it. But I put up food. Pickles, tomato sauce, jams and jellies, meats. Because one day, that cell phone will become a useless piece of plastic, and they will loot the nearby grocery store in about three hours. Most of that food will be wasted, but hey, we stuck it to The Man, right? What I really need to do is get the hell out of the city and move somewhere one can survive without electricity. I'm working on it. A late starter, I guess, but I think we can manage it in about two years. I think you mean "survive without *munincipal* electricity". It's very doable if you learn how it works then convert one room at a time. The hardest part is adapting yourself to that type of lifestyle. You waste far more juice than you are aware of. I'm willing to learn. In the last few years I've learned how to bake biscuits, make pickles, and jerk beef and pork. The other night we had dinner in a restaurant we had not tried before. I chose the meat and cheese platter. There were three kinds of pickles, three different cured meats, three flavorings, three cheeses and rustic bread. All of those are produced in the same building, by different startups. There's also a distillery that makes a very good Irish whiskey. I was kind of envious. I wouldn't mind knowing how to make dry cured meats like salami, or the kind of ham that hangs in the kitchen. I'd like to understand how to make cheese. A decade or two ago I kind of wanted to start a distillery, but lacked the resources. Now there's at least three just in Minneapolis. I did worry that my inadequate beard might keep us from being served. We were definitely the oldest folks there.